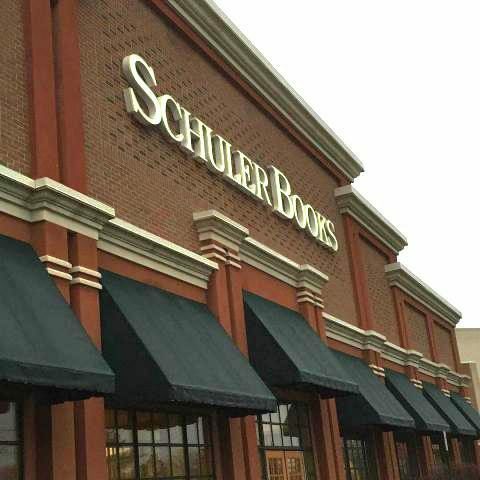 Founded in 1982 in Grand Rapids, Schuler Books is a chain of three stores including one in the Meridian Mall in Okemos. Other locations include Eastwood Towne Center in Lansing, on 28th Street Southeast in Grand Rapids and an independent store, Nicola's Books, on the west side of Ann Arbor. Founded in 1982 in Grand Rapids, Schuler Books is a chain of three book stores including one in the Meridian Mall in Okemos. Other locations include Eastwood Towne Center in Lansing and on 28th Street Southeast in Grand Rapids. In the summer of 2014, the Schuler bought an independent bookstore, Nicola's Books, on the west side of Ann Arbor. Schuler Books feature Chapbook Cafe, weekly events and a Espresso Book Machine, a patented high-speed automatic book making machine for print-on-demand titles. For more on events at the Okemos store go to www.SchulerBooks.com or call (517) 349-8840. Monday-Friday: 9 a.m. to - 9 p.m.
Saturday: 9 a.m. to - 9 p.m.